As a homeowner, you are probably familiar with the importance of an adequate ventilation system in your home. However, have you ever considered the importance of a ventilation system for your roof? Believe it or not, there are many ways that a roof ventilation system can be beneficial for your home. This is particularly true if you live in a warm climate. Here are three reasons you may want to consider having a ventilation system installed for your home’s roof. One of the great things about a roof ventilation system is that it can help save you money on your monthly utility bills. Without proper roof ventilation, the warm air that is generally trapped in your attic won’t have anywhere to go. Because of that, the heat ends up creating an uncomfortable home—especially when the temperatures particularly warm outside. While you can turn on the air conditioner and alleviate a bit of the heat, it can take a significant amount of money to run that air conditioner all the time. With a ventilated roofing system, the airflow in your home will be drastically improved, helping to cool the home off and minimize your overall reliance on your AC. Many people tend to store their personal belongings in the attic, which may not be the grandest of ideas if this is the area of the home that becomes the hottest during the summer. You won’t want any important items that could become damaged by the intense heat stored in the attic, though you may have no other choice if the attic is the only space in the home that is available for storage. Luckily, with a properly installed roof ventilation system, your attic can become a safe storage space. Apart from keeping the attic and your home in general cooler, a roof ventilation system can help extend the life of your entire roof. While a good roof can last for many years, especially with the right maintenance program, a constant wet roof from summer storms and ice dams from winter storms can drastically cut down the life span of your roof. Fortunately, an adequate roof ventilation system can help to prevent both of these issues along with others by improving the air flow through the attic and the entire roofing system. 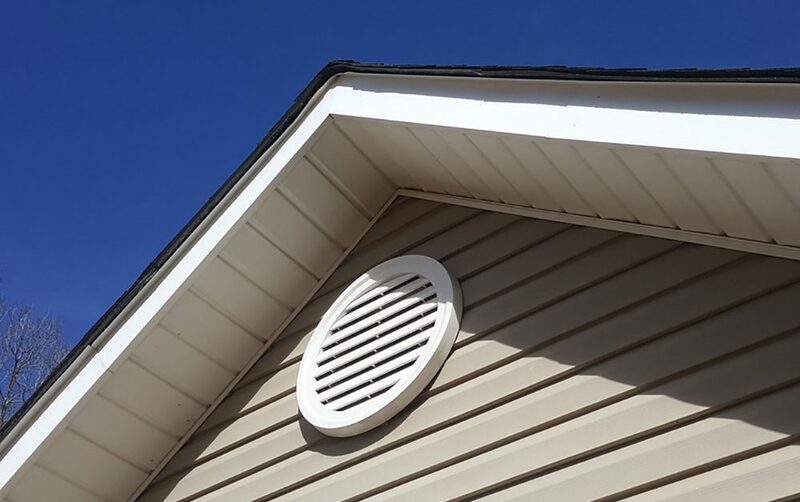 If you would like to learn more about roofing ventilation systems and how they can benefit your home, contact the professionals at Bullard Roofing. We can provide you with information on the different kinds of systems and schedule a home consultation to look at your roof and let you know what type of system we believe would be best for your individual home. Give us a call today!